A very good para professional quality ink, and no leakage of oil to rice paper. Red . 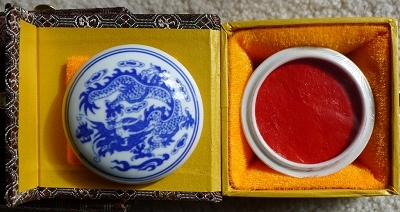 20 g. in porcelain container and silk box.